Whether the old compressor model is no longer available, or you want a more energy efficient system, the following factors could help you determine the proper refrigeration compressor for your application. In refrigeration applications, compressors are typically required to operate at more than one condition. While a two-stage or a variable-speed compressor may be ideal for refrigeration applications characterized by variable load conditions, a single-stage compressor that operates at 100% capacity during the “on” cycle can be a better option for light-duty. If you’re searching for a single-stage compressor, Compressors Unlimited makes available a few compressor models that provide exceptional reliability, such as the 4DL1500, 6DL2700, 06ER150, 06ER175 and the 06DR3376. Because different compressor models are designed to work with specific refrigerants, the refrigerant can also play an important role in compressor selection. The easiest way to find out the refrigerant required is to check the compressor’s label or specifications. Additionally, EPA’s Significant New Alternatives Policy (SNAP) provides information about the refrigerants approved for use in the United States. Whether you have a high-pressure, a medium-pressure, or a low-pressure system is another important consideration. That is because the type of system indicates the suction and discharge pressure/temperature ranges over which the compressor will need to operate. While high-pressure systems need compressors that can function at temperatures above 23°F, low-pressure systems can work with compressors that operate at temperatures below -4°F. Medium-pressure systems require compressors that can withstand temperatures between -4°F and 23°F. One of the most confusing aspects when selecting a commercial refrigeration compressor is the capacity. To choose the right compressor for a refrigeration application, the capacity should be considered in relation to temperature and pressure levels. That is because the volume occupied by refrigerant vapor molecules varies according to the temperatures and pressures within the system. 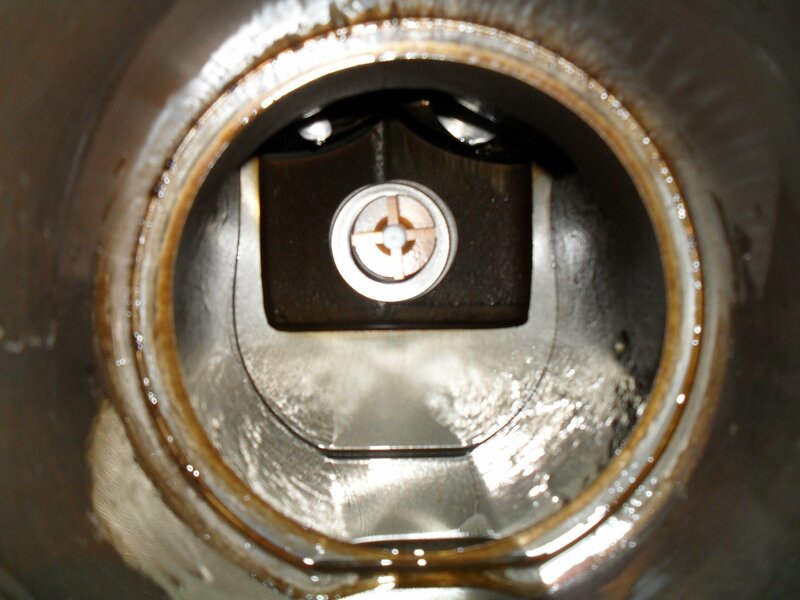 For instance, a compressor will contain significantly more refrigerator vapor at 200 psi than at 50 psi, even though the number of cylinders and the diameter of each cylinder bore remain constant. Compressor capacity is expressed in cubic feet per minute (CFM) or cubic feet per hour (CFH). Because the CFM or CFH rating is directly proportional to the cooling capacity of the compressor, a higher rating indicates a higher cooling capacity. The motor’s efficiency and horse power (HP) are two more factors you need to take into account when selecting a refrigeration compressor. As an example, a compressor with a low HP rating may not be right for an application even if it meets the capacity requirements. Another important aspect is the starting torque. Refrigeration compressors featuring motor systems with low starting torque (LST) should be used only in systems with capillary tubes and pressure equalization before each startup. Compressors that start with non-equalized pressures require motors with a high starting torque (HST). These compressors can be used in systems incorporating capillary tubes as well as in systems with expansion valves. Reciprocating commercial compressors – Reciprocating compressors are suitable for refrigeration applications of up to 100 tons. Depending on system specifications, multiple reciprocating compressors can be used in applications with loads that exceed 100 tons. Screw compressors can be used in applications with capacities from 20 to 750 tons. 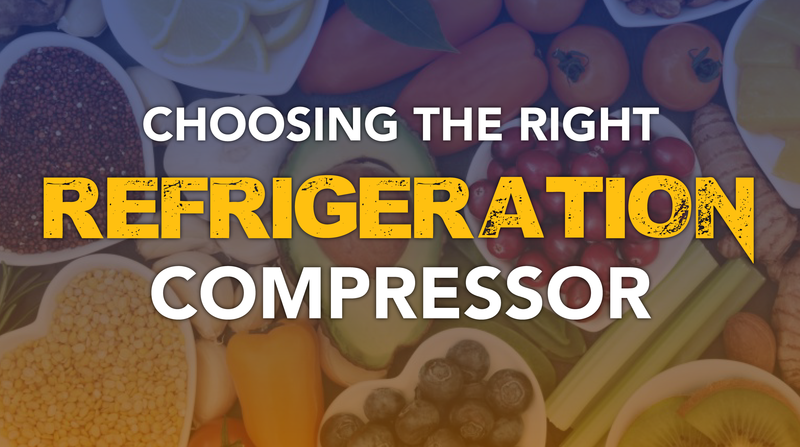 Although considering all these aspects can help you select the right refrigeration compressor for a refrigeration system, the compressor needs to match exactly the specifications of your application for a truly efficient and reliable operation. If you don’t know whether a specific compressor make and model is suitable for your refrigeration system, our friendly professionals can guide you every step of the way, from selecting to ordering the compressor, parts and accessories you need.